There is literally nothing more fundamental to geocaching than a GPS receiver. 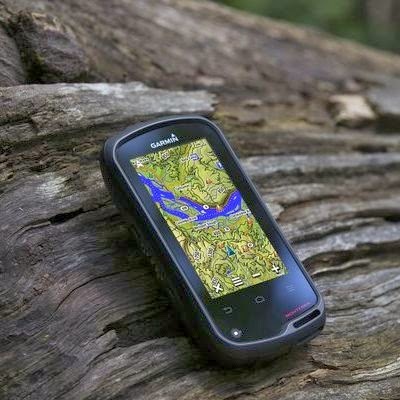 There is also few things as much fun as exploring new tech, and the Garmin Monterra promises to be a revolutionary step in the development of GPSr units for the geocacher. As you can imagine that when I was offered the chance to review the Garmin Monterra GPS first hand, I jumped at it. Now, a couple notes before I get into the meat of things. Blogger, the system this site uses, works awesome for the smaller posts that I normally do, but it is not so awesome for longer ones. As a result I am going to put my review in a series of posts released all at once, and linked all together. Hopefully this will end up feeling like a unified review. Second note: I have never done a product review before, so its likely I may have missed something. Please feel free to drop missing bits in the comments and I will do my best to get them addressed. Note The Third: I am an avid geocacher, and this review is geocaching specific. This unit could be used for a great many other things, but those use cases will remain theoretical. I am also assuming my readers are geocachers. If you are not a geocacher and something isn't clear as a result, please feel free to drop a comment and I'll clarify things for you. Fourth Note: I am using a Garmin Montana as a comparison device to the Monterra in a couple areas. The reason is two fold: I've used the Montana to find over 1200 geocaches and am very familiar with how it functions in the field. It is also a very recent model so there is not a lot (in theory at least) changes in the hardware. I also compare it to the Garmin eTrex 30 as it is my primary caching device. First question has got to be: why do we care? What is the big deal about the Monterra anyway? The Monterra is the first GPSr from Garmin (perhaps from anyone) that is based on Android. Many geocachers have stated that the one thing they wanted in geocaching technology is the ruggedness and battery usage of a stand alone GPSr merged with the flexibility and functionality of a smart phone. The Monterra promises this exact holy grail combination to a geocacher. This device is expensive, at $650 USD for the base model ($700 with topo maps), so it has big shoes to fill. The burning question is: does it live up to its promise?